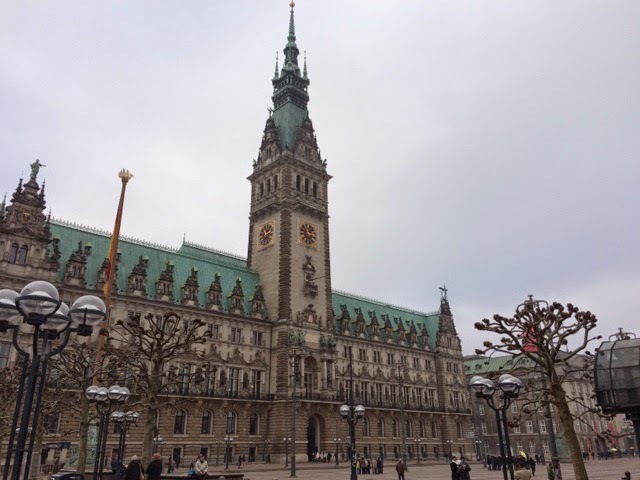 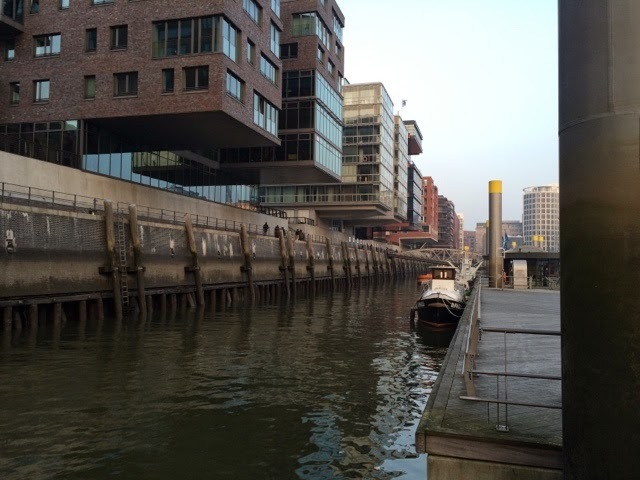 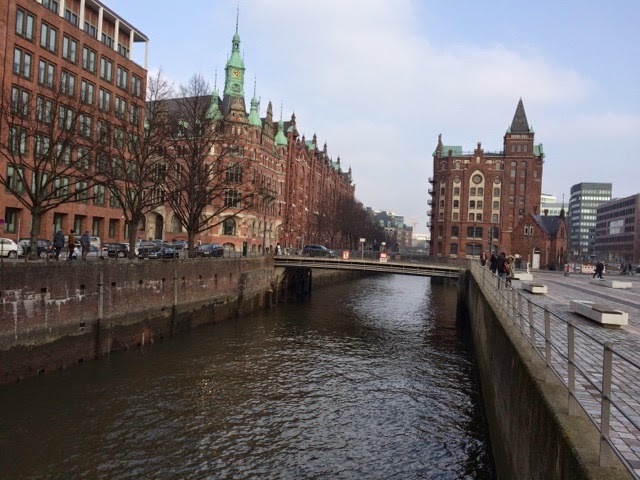 Here are a few parting-impression of our little trip to Hanseatic Hamburg, one of three of Germany’s city-states but unique in many ways. 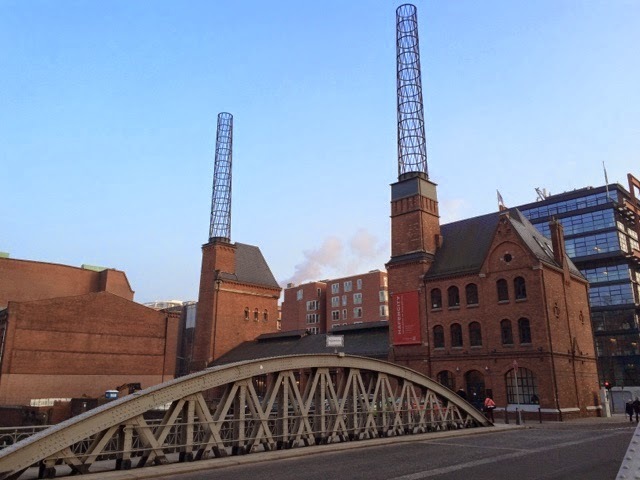 Though our exposure was limited to the usual tourist-experience, it struck me as quite livable, more so than other metropolitan areas—though there were distinct signs of gentrification and I had the feeling that denizens were cleft if not to their class but to the demographics of their boroughs, a truth about gentrification that was probably peppered by the voting Sunday and campaigning in the air. It was also quite striking to me how this city, this inland empire, as close to the Baltic as to the Atlantic, controlling only the narrows of the Elbe for trade, has retained its dominance, even as many other knots only over-land and over-sea routes have faded. 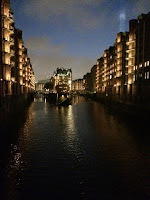 It seems a lot of naturally endowed infrastructure, staging has been forgot, whereas Hamburg remains an attractive force. 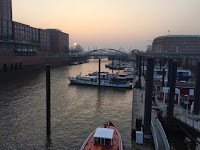 There are outposts, once regaled in the same way, along the roads that once brought trade between the great cities, usually anchored to the seaways, but have only memories to show for their strategic locations. 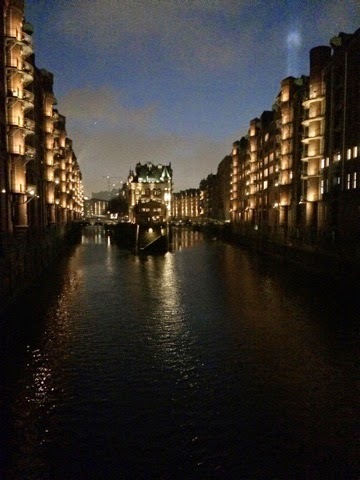 I am grateful, however, that Hamburg preserved its heritage and has only grown its capacity for import-export, without regard for how the paradigm of trade might have changed. 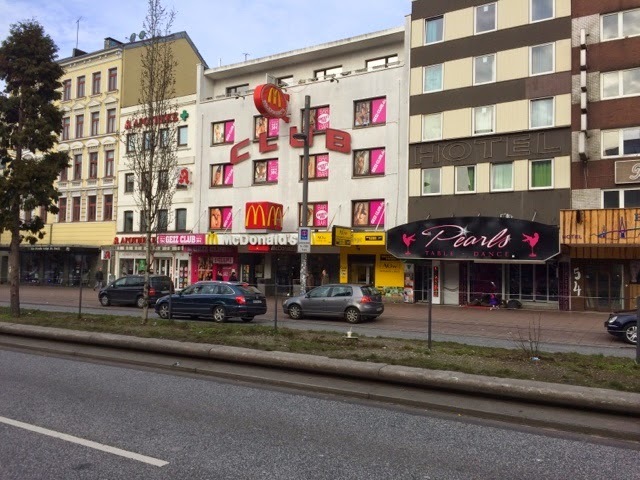 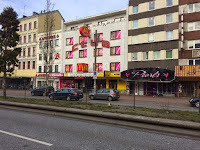 There’s a genuine character that’s formed and sustained the famous Reeperbahn (named after the street where the rope-weavers lived) and Saint Pauli, despite the tourists but maybe because. 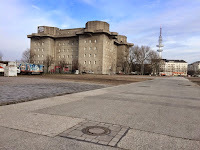 Not far afield from its renowned football-pitch lies a brutal-looking WWII era anti-aircraft tower. 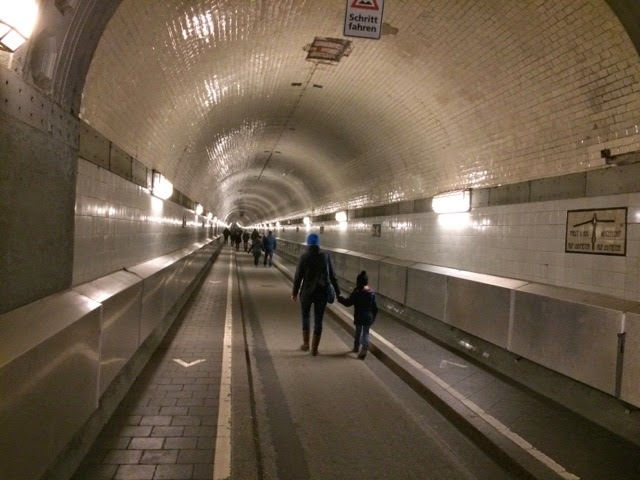 The finely- tiled old Elbe tunnel is buried deep underneath the river and the narrow lane is open to cars during rush-hour and not just foot traffic. 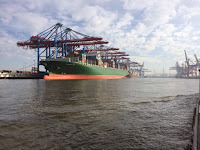 The bureaucracy has created a unique skyline, as has the corporate headquarters and the prestige-projects, like the newly added Elbe-Philharmonic, that are terriors of the shipping business that remains as big and prominent as ever. With some two-thousand four-hundred bridges, Hamburg has the most crossings of any city on Earth and has more canals than both Amsterdam and Venice combined. 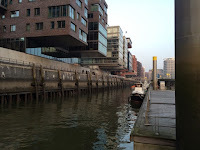 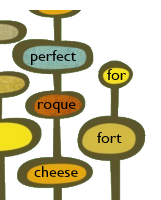 I am not sure if that figures in number or volume, as Venice did seem to be unsurpassed in the quirkiness of its waterways. The architectural heritage of the city, blocks of warehouses that until recently characterised a free-trade zone, are really transfixing when set against the history and machinery—the cranes and cargo containers, and, as office-space for any business wanting a foothold, still are prized real-estate and without, out-priced, denigrating where one might hang his shingle. I am really glad that we had the chance to visit and spend a few days discovering, and I am looking forward to going back in warmer weather, even if that means braving the crush of other visitors and not having the place all to our selves.